It is great seeing the energy and bounce back in the music industry at MIDEM this year - but there is a huge opportunity which still remains untapped. The fact is that much of the industry is still locked into a legacy concept of human behaviour around genres and formats which makes no sense when it is emotion and experience which are now key to how audiences interact with music. 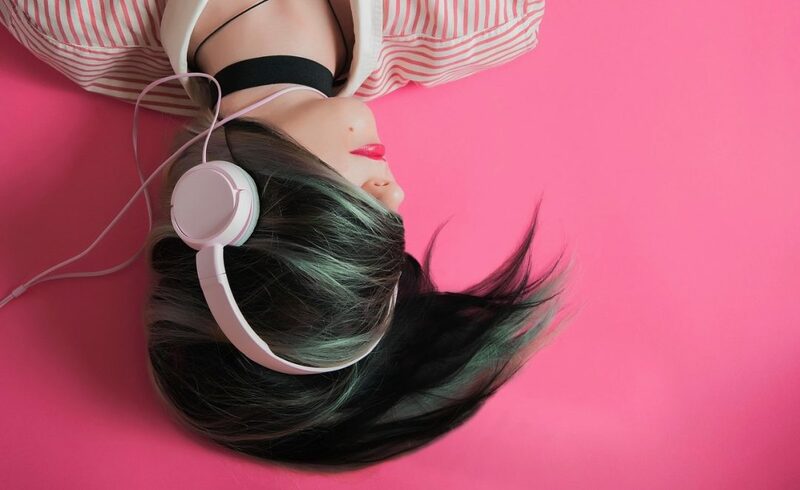 A younger audience who do not respond to traditional ideas about genre and 'tribes' as well as the rise of the ‘playlist culture’ which has emerged from digital music platforms such as Spotify and Apple Music means that now more than ever the role of the industry is to soundtrack our lives. So how can labels and publishers respond to this evolution in how their audiences interact with music? Many of the worlds leading brands have learned to understand the role of emotion and experience in recent years, and some such as Nike and Apple have seen fantastic results due to this adaption. While traditionally it’s been the case that music artists bring the magic, the modern audience focused brand can offer partnerships which speak to audiences needs and the opportunity to help labels and their artists break out of dated ‘format thinking’ and develop innovative and exciting new platforms. Analysis of GWI data from an audience sample of just over 10,000 people who are active in discovering new music confirmed that the role of communities is a strong driver - especially in the U.S and Far East. While the initial feeling may be to respond to this using traditional concepts such as artists, genres or live music again we’d suggest that labels consider the role of experience here. For example - if a label identified that its audience had a clear passion for activities such as running or pilates it may not be such a crazy idea to develop their own communities around these, or partner with existing ones in order to better engage their key audiences where they actually are. Given the mediums available to them there is no reason why a label cannot have permission to soundtrack an exercise class or a book group - it is just a case of understanding the interests and habits of key audience groups and repositioning around experience. Given the available data around audiences behaviour and location it is entirely possible to create soundtracks which speak to the context of audiences lives - and at scale too. Social data is a powerful source of insight when it comes to understanding emotion and experience - for instance the emoji cloud above is based on data from users in London using emojis alongside the #nowplaying hashtag over the past two weeks suggests there's some positive sonic vibes flowing through the city now that summer is here. This ability to deliver music to meet the mood of listeners lives represents a huge opportunity for labels and publishers as positioning the right content at the right time in response to shifting audience behaviours will guarantee impact - and revenues. Innovations such as Smart Speakers and Augmented Reality offer the music industry new and exciting means to engage their audiences around experience - and so understanding how they're using these as part of their music interactions is essential. 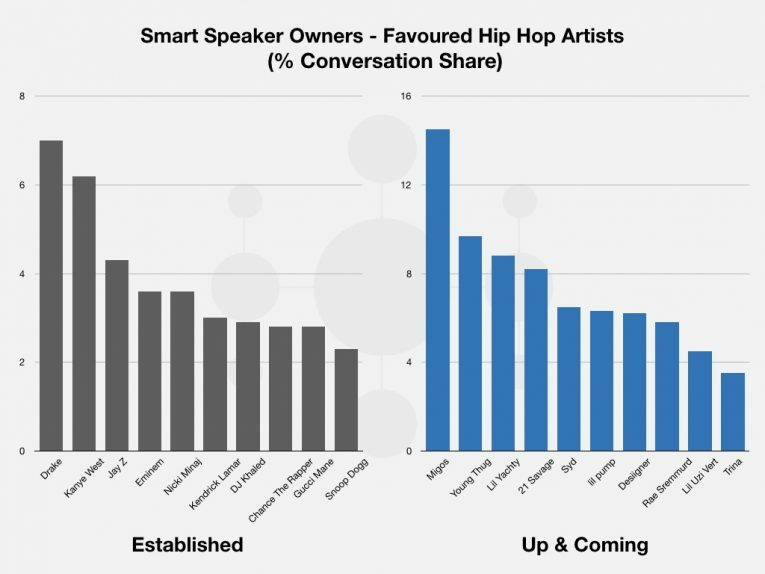 As shown in our recent article on Smart Speaker audiences and Hip-Hop, we at EntSight have already started to map these and are seeing unique trends which can inform labels and publisher's strategies. All of the above is dependent on one key element - understanding your audiences behaviours, drives and preferences and so we at EntSight would like to extend to labels and publishers the same guidance and strategic direction we’ve already provided to leading brands and media organisations such as BMW Group, Tommy Hilfiger, Bulgari, Universal Music and Wanda Media. If you’re ready to understand what your future looks like - then get in touch here.